Hoax posts or tweets are increasingly common, and often brilliantly crafted to take advantage of users’ fears, or breaking news situations. Sometimes they’re fun, other times they’re downright sinister. Either way, if you’re using social media in a official capacity, you don’t want to be called out for perpetuating them, do you? The fast moving nature of social media sites makes them fantastic environments for spreading a hoax. Sometimes they’re just invented by pranksters wanting to fool people for the sake of it, other times they’re looking to get exposure for a particular Twitter or Facebook account. 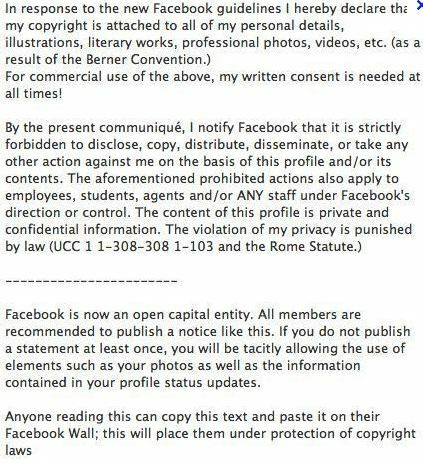 This particular hoax spread so quickly because most users are aware of the “evil Facebook” concept – a critical mass of stories in the media about how Facebook is plotting to steal your data / bank account details / soul and must be stopped. Consequently they’re quick to copy and paste text like this, and think they’re doing their friends a favour. Unfortunately most of these types of stories are wrong in one of the two key aspects – what the problem is, or what to do about it. In this case there’s some truth to the issue; depending on your Privacy settings, Facebook’s Terms of Service allow them to make use of (NB, not “own”, though) certain of your content – but none whatsoever in suggesting that this course of action will make any difference. 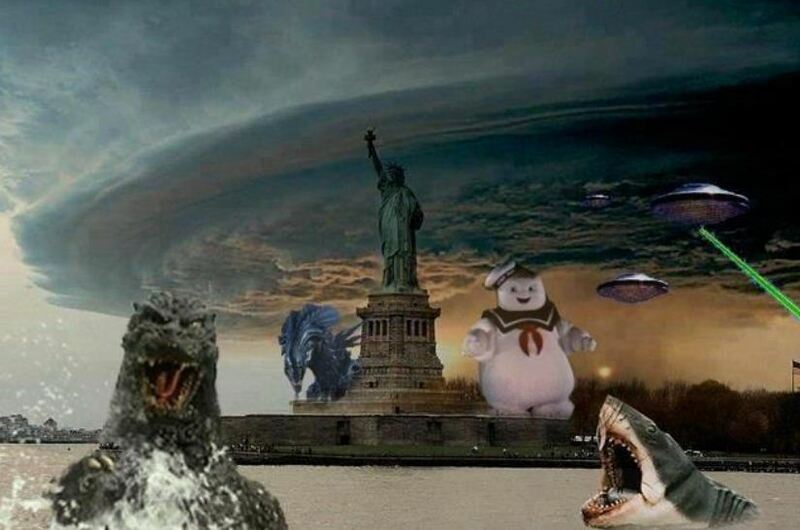 The other big trigger for hoaxes recently was Hurricane Sandy. Again this is quite typical – a big news event where everyone wants to be first to share things, is a great opportunity for hoaxers. If only all hoaxes were so easy to spot. Anyway, here’s the thing. If you’re sending things out from an organisational account where credibility matters, it’s really not that hard to avoid passing on a hoax. Here are three ways to check that story. 1. Mainly for Twitter based scams, check out http://istwitterwrong.tumblr.com/. In fact do, anyway, it’s a fun read. 3. If all else fails, simply try googling the first line of the content if it’s text based (like the Facebook example above), or a few descriptive words if it’s an image. 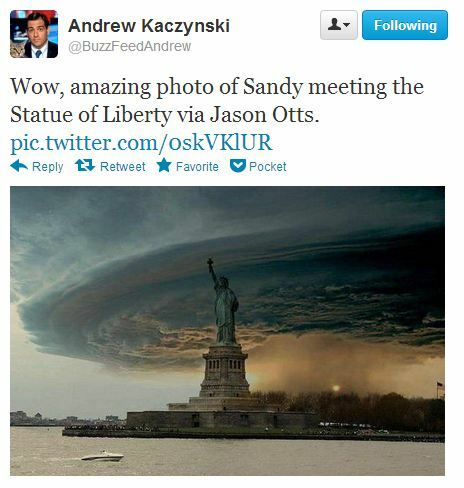 “Statue of liberty hurricane” run through Google would show up pretty quickly that the “Sandy” image has been around for years. Hope that helps keep your reputation in the clear – and leaves you free to enjoy the more imaginative hoaxes for what they are.